These flexible, secure KITZ interface units enable conversion between K-BUS ports and IEC60870 format data. Their robust and quality design makes them the ideal solution for use in multiple locations. KITZ provides conversion between K-BUS ports of IEC60870 format data and an EIA232 serial connection via a Courier software package. Using a K-BUS system Courier Protocol enables communications with up to 32 devices at a maximum distance of 1km in electronically hostile environments. KITZ can also be used to directly interface with integrated SCADA (Supervisory Control and Data Acquisition) systems. 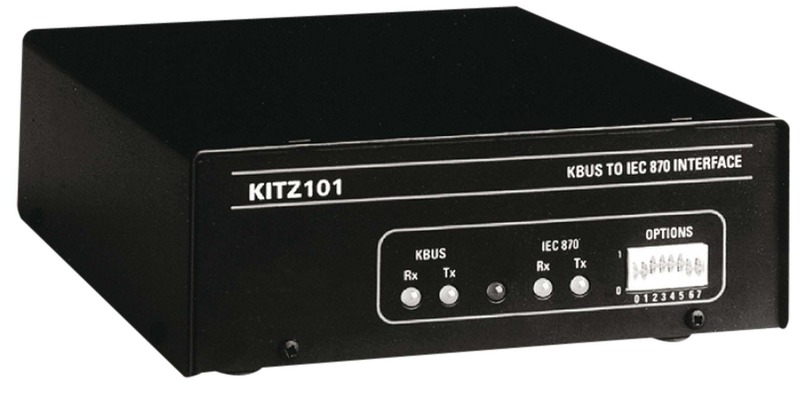 Designed to ensure local or remote connections with desktop and substation locations, KITZ can communicate with any K-BUS device. Manufactured to the same high standards as protection relays, KITZ provides simple EIA232 connections.